장곡사는 칠갑산에 있는 사찰로 신라 후기 보조국사가 세웠다고 한다. 자세한 연혁은 전하지 않으나 조선 정조 1년(1777) 고쳐 짓고 고종 3년(1866)과 1906년, 1960년에 크게 고쳐지어 오늘에 이르고 있다. 이 절은 지형을 따라 위아래에 2개의 대웅전이 있는 특이한 배치를 하고 있다. 상·하 대웅전은 서로 엇갈리게 배치되었는데, 상대웅전은 하대웅전보다 훨씬 높은 곳에 자리잡고 있다. 상대웅전은 앞면 3칸·옆면 2칸 크기이며, 지붕은 옆면이 사람 인(人)자 모양인 맞배지붕이다. 지붕 처마를 받치기 위해 장식하여 만든 공포가 기둥 위와 기둥 사이에도 있는 다포 양식으로 특이한 양식을 보이고 있다. 건물 안쪽 바닥에는 전돌을 깔았으며, 그 중에는 통일신라 때 것으로 보이는 잎이 8개인 연꽃무늬를 새긴 것도 섞여 있다. 지붕 처마를 받치는 부재들의 짜임수법이 특이하여 건축사 연구에 중요한 자료가 되고 있으며, 청양 장곡사 철조약사여래좌상 및 석조대좌(국보 제58호)와 청양 장곡사 철조비로자나불좌상 및 석조대좌(보물 제174호) 등 귀중한 문화재를 보관하고 있다. 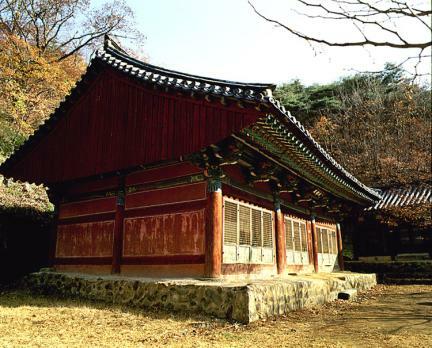 Janggoksa Temple, located at the foot of Chilgapsan Mountain, was constructed by State Preceptor Bojo toward the end of the Silla Dynasty. 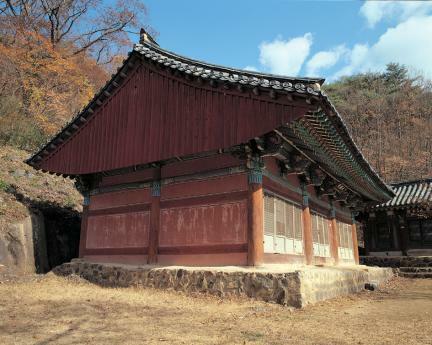 The temple underwent successive repair works in 1777 (the first year of the reign of King Jeongjo of the Joseon Dynasty), in 1866 (the 3rd year of the reign of King Gojong of the Joseon Dynasty), in 1906 (The Korean Empire), and again in 1960. 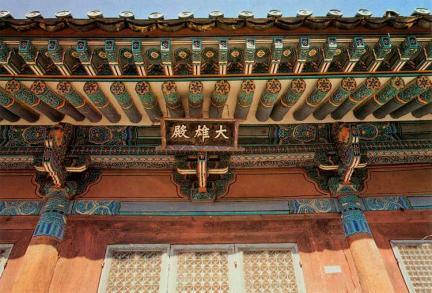 Notably, this temple has two Daeungjeon Halls, one situated in the upper area and another in the lower area of the temple. 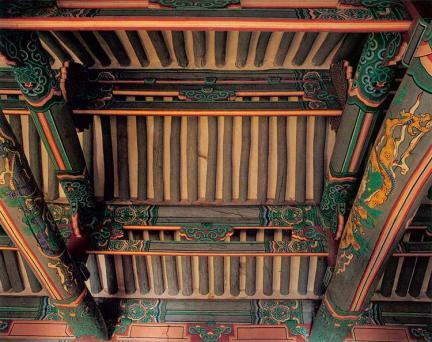 The upper Daeungjeon Hall has a gable roof and measures three kan (a unit of measurement referring to the distance between two columns) at the front and two kan at the sides. The eaves of the roof are supported by a system of brackets placed both on and between the columns. 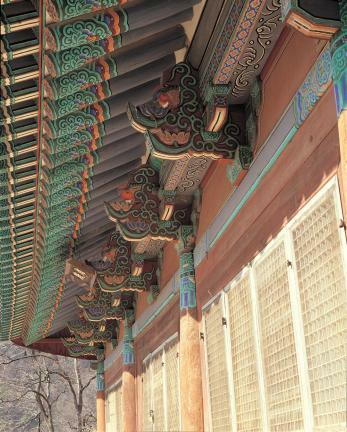 The interior floor of the building is made with bricks, some of which are engraved with eight-petal lotus patterns which appear to have been made during the Unified Silla Period. 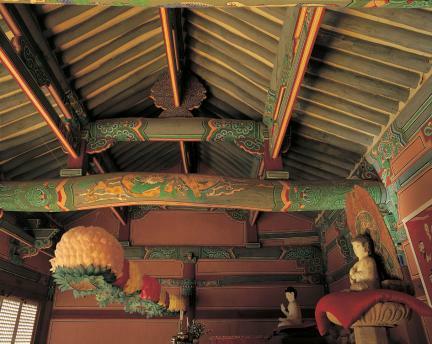 The upper Daeungjeon Hall, with its unusual support structure for the eaves, is an important relic for studies on the history of architecture in Korea. 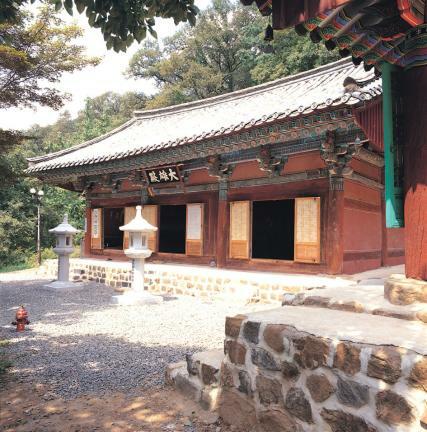 In addition, the hall houses valuable cultural assets including the Iron Seated Bhaisajyaguru Buddha and Stone Pedestal of Janggoksa Temple, Cheongyang (National Treasure No. 58), and the Iron Seated Vairocana Buddha and Stone Pedestal of Janggoksa Temple, Cheongyang (Treasure No. 174).